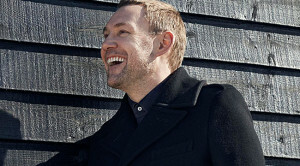 Singer-songwriter David Gray had a big breakthrough in 1999 when White Ladder was a hit. His newest album, Mutineers, has more of an edge to it as Gray inflects the music with electronic beats and more intense vocals. He recently phoned us to talk about the album and his upcoming tour, his first full tour of the States in four years. Your career stretches back about 20 years now. Put things in perspective. How have you evolved as a musician? Well, I think there’s been a significant evolution. I learned an awful lot about playing music and how less is more and volume isn’t everything. If you want to put everything into a song, sometimes it’s best to back off. Beyond that, it’s the same conundrum it always was. You just try to connect with the audience. It changes but remains the same. I’m not afraid of the studio anymore. I don’t shout at the audience when they’re talking. I try to play to the ones who are listening rather than the ones who are not. I don’t go at everything head on all the time, which is how I started out. There’s more guile in the way I write and record. I’m drawn to the oblique angles when I’m making something. I’ve found that they’re very fruitful. That’s something I learned slowly. You’ve opened for so many different acts. Which artist was the most inspirational? I think the most impressive was the two tours with Radiohead. I saw them go from being rather anxious individuals into filling the bigger shoes that were their OK Computer years. I saw that transition in 1995 when they were trying to escape the shadow of “Creep” to the end of 1996 when they were becoming a bigger thing. They were completely different by the end of that and had a swagger and an expansion of sound. They were good to me. They were frightfully organized and thinking of all the angles. It was very impressive to witness. They do stand out in terms of the acts I’ve played with. They’re in a unique position now. When your first two albums didn’t succeed commercially, did you start doubting yourself? It’s difficult when things don’t work out. Everyone has theories. It was disheartening of course. When things don’t work out, you end up in dead-end situations trying to play your music while a sense of futility swallows you whole. You have to survive those trials and tribulations. It was something I had to get through. If I had kept on like that for another five weeks, I would have stopped. It didn’t work out that way. You can fall into bitterness and blame for the way things didn’t work out but that wasn’t me. I decided to give it a bit more. I wanted to open my music more and try again. But even when my first three records didn’t connect in a big way, I had success in Ireland. That kept me going and gave me inspiration. The people I met there and the connection they made with my music sustained and nourished me. That was the place where White Ladder was first released and succeeded. It was the springboard for everything. You started mixing in electronics way back then too. What was behind that? I was thirsty for new sounds and new ideas. An acoustic guitar and piano just weren’t doing it for me. I wanted something different and I wanted to try to incorporate different sounds in my music. Talk about the making of Mutineers. What did you set out to accomplish? It seems like a sonic shift. It is a shift. I wanted something I hadn’t heard before. I wanted something that wasn’t so numbingly familiar. I wanted something to inspire me. I wanted a new sonic vista to look out upon. I wanted a new way to write and a new way to be. I wanted to celebrate music in another way instead of the tried and tested forms. I was bored by the idea of going through the motions. The key was finding a producer and collaborator who had the keys to the city of sound and could get me in. That’s the way White Ladder was made. I let other people into the process. This was made the same way. I gave someone free rein to tear the music apart and change it and alter so that something interesting could happen. That was a difficult time and process to go through. It’s not easy to step into the unknown. You have to build up a trust with that person and that’s the story of this record. I feel that because of that vulnerability and exposure and risk, there’s more. It’s closer to the source of my music. It’s more vital. You recorded at The Church Studios with Andy Barlow, who has a writing credit on some songs. What was that experience like? I give him a writing credit but he didn’t sit there and write the songs. He would sculpt them in the studio to the point that they wouldn’t be the same if he hadn’t been there. That required a writing credit. I write the lyrics and come up with the chords. But he had a profound arrangement changes on some of the songs and pushed them around and encouraged me. That’s why he has writing credits on several of them. One of the key things Andy did was to strip out unnecessary instruments. He wanted to create space around the vocal. Unnecessary guitars gone. On the piano, we simplified and simplified. On the drum parts, we would take the high hat out. We stuck with bass drum and snare. Not even a cymbal. You can listen to how beautifully simple the parts are. We stripped back. That was very much him. He called it vanilla. We wanted to keep it as simple as possible with no extra flavoring. We wanted to create space with the sound. “Back in the World” starts with a line about how everyday feels like Saturday. Talk about the theme of that song. I just found myself. I needed that song. It just came out quickly. Sometimes, I write several songs in a day. That was the first one I wrote one day and it was followed by four or five others. It has a completely different chorus. It’s radically different now from when I wrote it, but the verses remain the same. The sentiment remains. It’s a poppy, literal song. It was something I was feeling. It encapsulates something about the moment. It’s about returning to the present moment. It’s a great feel-good tune. I listened to it and felt better about the day I was having. I hope everyone agrees with you. I had the idea for the song when I was in Vegas. It was the beginning of December and it was about 75 degrees and they had all the decorations up. Bing Crosby was on in the hotel lobby. I thought it was so weird. I wondered what it would be like if it snowed there and I let my brain start to run with that. I started writing pages and pages about what Vegas would look like if snow started coming down and covering everything in that wonderful transformative way. To see Vegas cloaked in a white cape of innocence. It was a flight of fancy, but I thought it’s a very powerful metaphor. I lighted on this song and it became a very heartfelt moment in the record. Talk a bit about the tour. With such an extensive catalog, what can fans expect to hear? It’s just a very joyous journey through songs new and old. We’re bringing more old songs to life in a new way. I was feeling jet lagged yesterday and I have the whole tour in front of me and another tour in September or October. It’s like a mountain you have to get up. But I started working with the band and everything was right with the world. It’s a joyous thing. I feel like Marvin Gaye with all these people singing behind it.